Own Tempo Prevents the Pok�mon from becoming confused. This Pokemon cannot become Confused. Oblivious Prevents the Pokémon from becoming infatuated. 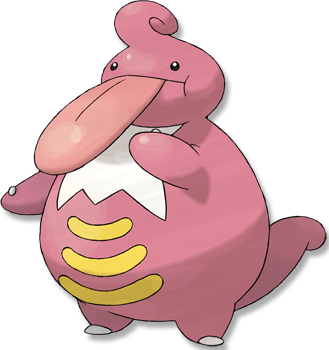 This Pokemon cannot become Attracted. Cloud Nine* Eliminates the effects of weather. Weather does not affect this Pokemon. Diamond/Pearl It wraps things with its extensible tongue. Getting too close to it will leave you soaked with drool. Heart Gold Its saliva can decompose anything. It wraps its long tongue around things to coat them with its sticky saliva. Soul Silver It has space in its throat to store saliva. It can also roll up its tongue and store it in the same spot.